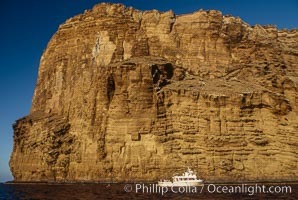 Boat Horizon below eastern cliffs of Isla Afuera, sunrise. 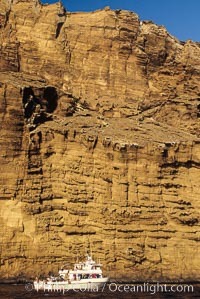 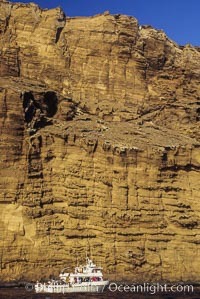 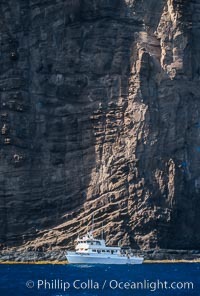 Boat Horizon below southern cliffs of Isla Afuera, sunrise. 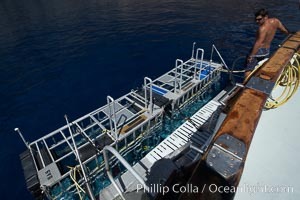 Shark cages in water, astern of M/V Horizon. 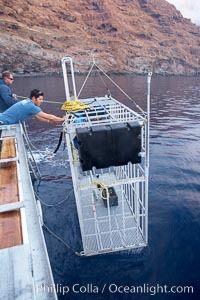 Large, strong aluminum cages protect divers while they are in the water viewing sharks. 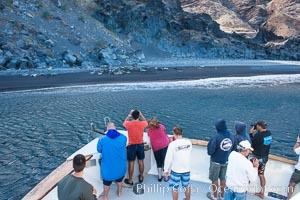 Viewing northern elephant seals along the beach, from the vessel Horizon, at Guadalupe Island. 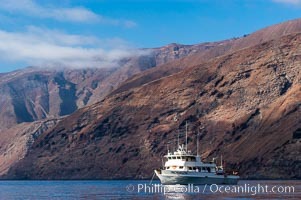 Captain Greg Grivetto, relaxes aboard M/V Horizon upon approach to Guadalupe Island. 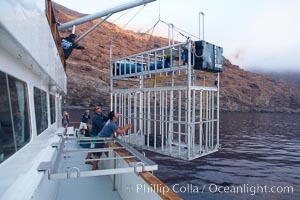 Lowering a shark cage into the water alongside M/V Horizon. 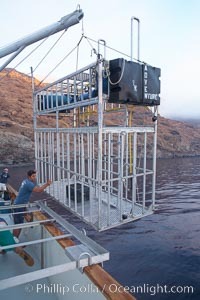 Large, strong aluminum cages protect divers while they are in the water viewing sharks. 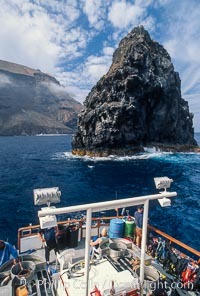 Islas Afuera and Boat Horizon. 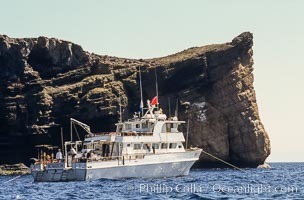 Boat Horizon and Isla Afuera. 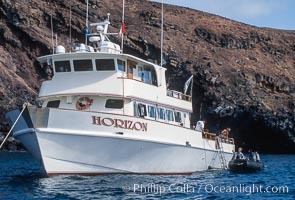 Boat Horizon at anchor in front of Battleship Point. 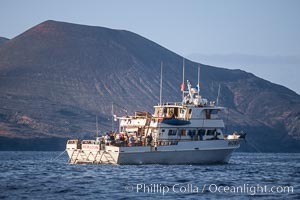 Dawn at Isla Afuera from Boat Horizon. 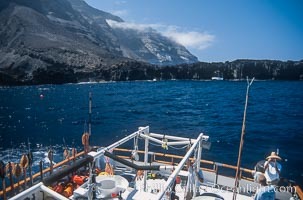 Boat Horizon near Spanish Cove, clouds held back by island crest. 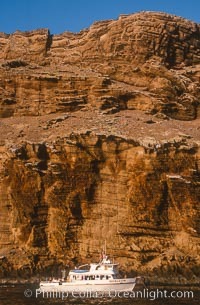 Boat Horizon near Red Cone. 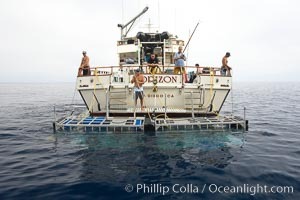 Spearfishermans floats and boat Horizon. 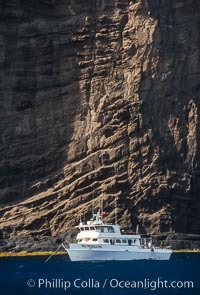 Boat Horizon below cliffs near Spanish Cove. 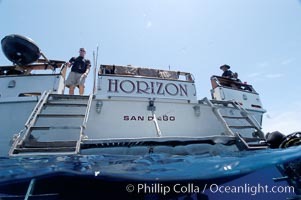 Boat Horizon loading diver into skiff. 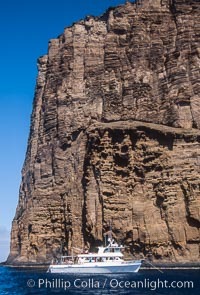 Boat Horizon below sea cliffs at Isla Afuera. 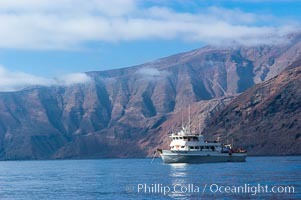 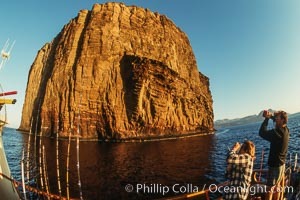 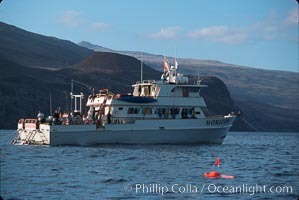 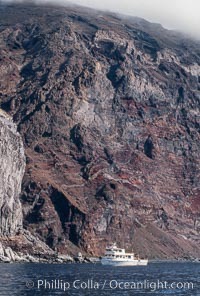 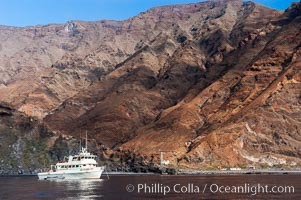 Boat Horizon at Arcos del Diablo, west side of Guadalupe Island. 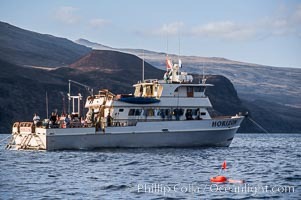 Crew of the dive boat Horizon wait at the stern to help divers out of the water. 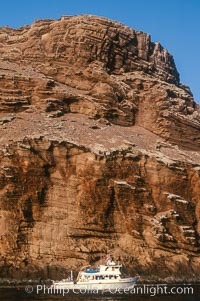 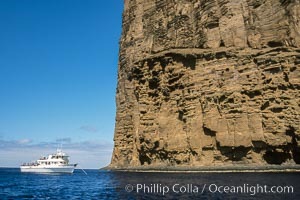 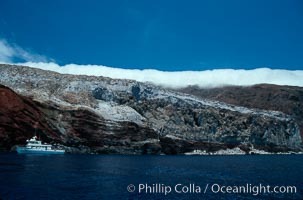 Guadalupe Islands mountainous terrain and sea cliffs tower above the dive boat Horizon while at anchor in Spanish Cove, near the north end of Guadalupe Island (Isla Guadalupe).